← I made some invitations! Once upon a time…. I hated beer. The smell and taste of it just grossed me out. I didn’t know anything about beer. I just thought there was Budweiser, Corona, Tecate, Heineken, Guinness, and it ended there. All tasted the same to me. I blame my hubby, he made me like beer. With the craft beer movement that has been going on now for the past few years, there is no shortage of good quality beer. Because of him I now know what hops, IBU, growler, head, and mouthfeel are. We aren’t experts, we simply hear or read about a beer and if it sounds like it could be good we usually give it a chance. That is how we came across this little gem. YUM. The beer used in the following recipes is a Porter. 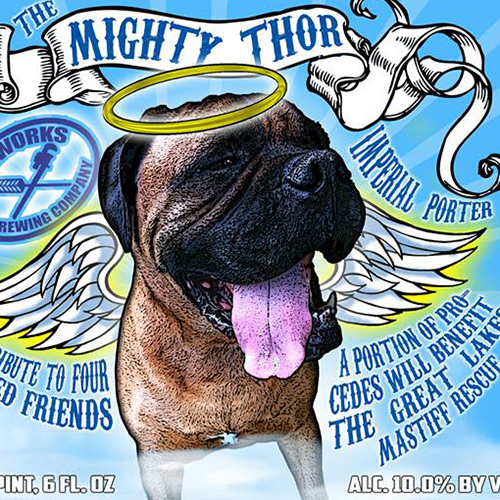 Specifically The Mighty Thor Imperial Porter from Pipeworks Brewing Company in Chicago. The Mr. and I aren’t huge fans of Porters. So when we were given this bomber by his parents he asked me to think of a back up plan for the beer. Waste not, want not! I’ve always wanted to bake with beer so I decided to give it a whirl. I made cookies first. The hint of cinnamon made the house smell wonderful as they were baking. They are light and fluffy and addicting! 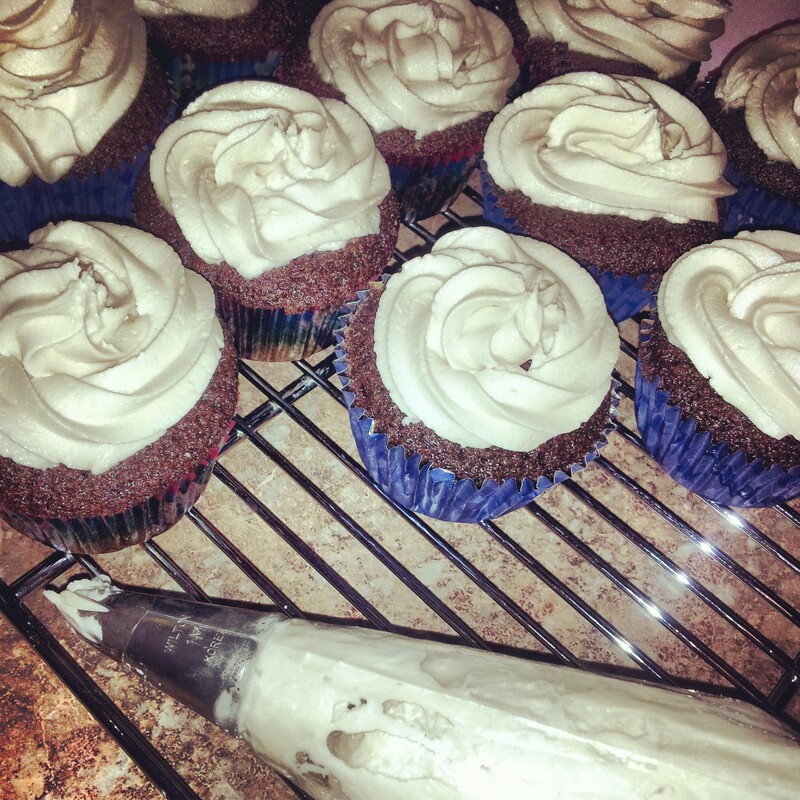 After that success I had enough beer left over to make Porter cupcakes with Beer frosting. The cake is moist and fluffy and frosting came out delicious. In both recipes you notice the taste of the beer. Not overwhelming, just a nice balance between the bitterness of the beer and the sweetness of the chocolate and frosting. 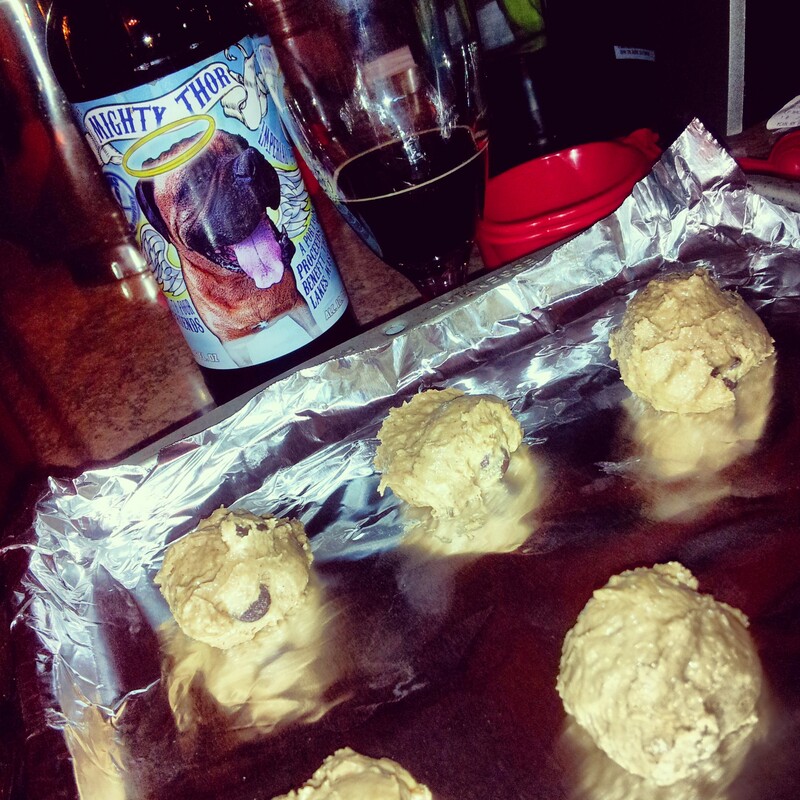 I will definitely bake with beer again, although I will go with a Stout next time. Cream together the butter and the brown sugar. Add flour, baking soda and spice. Blend in beer slowly to form a soft dough then add chocolate chips and chopped walnuts. (next time i will add a 1/4c more of nuts and chocolate chips, imo there wasn’t enough. ;P ) It will be a fluffy dough, not your normal chocolate chip cookie dough. Bake 14-17 minutes in a 350°F oven until lightly browned. Cool on the cookie sheet then transfer to wire rack. Preheat oven to 350°F, and line a regular cupcake pan with twelve liners. Combine the flour, sugar, cocoa powder, baking soda, and salt. Whisk the dry ingredients until well mixed. Add in the melted butter, eggs, vanilla extract, and 1/4 cup of the beer, and mix until mostly combined. Scrape down the sides of the mixture, add the remaining beer, and mix until well incorporated. Fill each of the cupcake liners 3/4 of the way, and bake in the oven for 15-17 minutes, or until a toothpick comes out clean. Let sit in the pan for 3 minutes, then transfer to a wire rack to cool for 20 minutes. For the frosting, place the butter and 4 cups of powdered sugar in a mixer and mix until well combined. Add in the beer, vanilla extract, and heavy cream, until creamy. If the mixture is too thick, add more beer, a teaspoon at a time, if it is too thin, add about two tablespoons of powdered sugar at a time until it is piping consistency.